Jan Gustafsson had no problems in the first round – on the way to retaining his Thailand Crown? Taking place at the high-class Dusit Thani Hotel in the heart of Bangkok, 135 players are competing in the 12th Bangkok Chess Club Open 9-round Open category, among them 41 titled players. Tomorrow the 7-round Challenger section will start, with 106 participants registered so far. With over 230 players from 34 countries the tournament has broken its attendance record from 2011 to confirm its ever-increasing popularity. 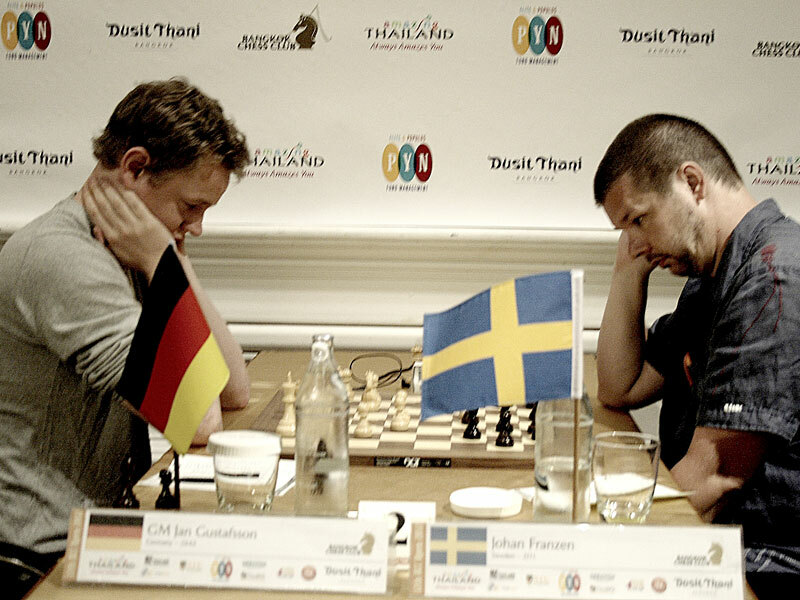 German GM Jan Gustafsson has traveled to Thailand to defend his title as the winner of last year’s tournament, but top seed GM Nigel Short, Women’s World Champion GM Hou Yifan and other professionals are ready to fight him for first place. 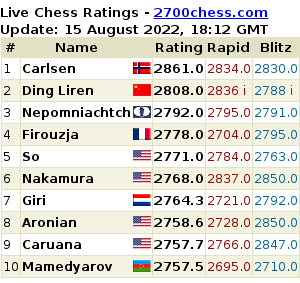 The first round saw no upsets at the six top boards where Gustafsson, Amonatov and Xiu Deshun with the white pieces, and Short, Hou Yifan and Venkatesh with black won their games within a couple of hours against strong club players. Short and Amonatov in particular played aggressively as they quickly converted positional advantages into material gains and solid wins. While the wins of the professionals were straightforward, one could not fail to notice that the amateur players fought hard. However, their respect for the GMs often led to worries about making mistakes, which then got them into severe time trouble and lost positions between the middlegame and endgame. Tomorrow the top players will face stronger opposition in rounds two and three. The upset of the day was achieved by 18-year-old Thammasat University freshman Thanadon Kulpruthanon who beat Singaporean GM Wong Meng Kong with white in a Caro-Kann exchange variation. Another result of note was achieved by Tristan Cox from England who drew with Vietnamese IM Nguyen Van Huy on board seven despite almost 400 Elo points rating difference.